A Finger Lakes Bed & Breakfast! Why Stay in a Cookie-Cutter Hotel? Stay where famous dignitaries, Inventors, and Industrialists have made significent history. The Perfect Finger Lakes Vacation Destination! 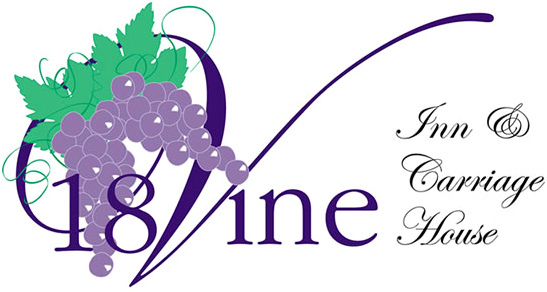 18 Vine Inn and Carriage House Bed & Breakfast, is located in Village of Hammondsport, NY. Enjoy local shops, restaurants, wineries, breweries, outdoor sports, swimming, boat rides and much more. Guests can also simply relax among the beautiful scenery, swim in the pool, or walk the gardens. A perfect place for a romantic getaway! We love our Military Veterans & First Responders – add code while booking and receive a 10% discount! Receive Discounted Rates on Rooms or Events when you Book Direct with Property!